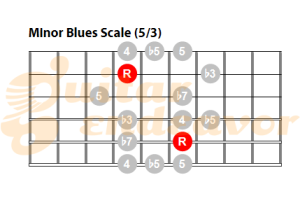 What is the Blues Scale (Minor Pentatonic) and How to Play it on Guitar? 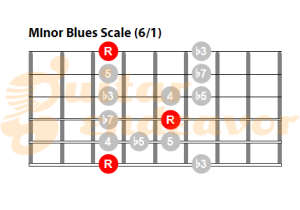 The minor pentatonic blues scale is most commonly used in blues and jazz music. 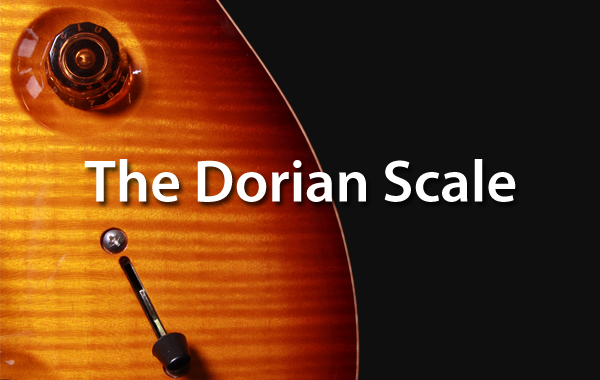 In fact, it’s so widely used that many blues artist solely play this scale when soloing! Here are the main scale patterns. Just slide the root (red dot) to the desired key. 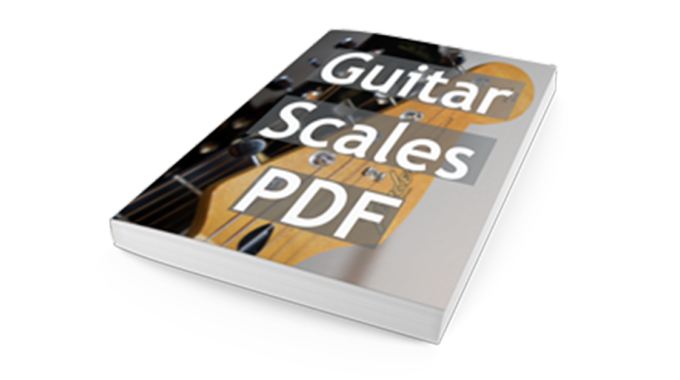 The main reason this scale is so popular is that changing key when playing over a classic blues chord progression is not necessary. 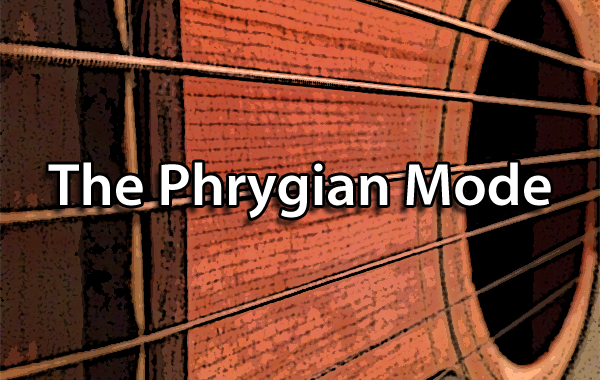 This is not the case for the major blues scale. In fact, you can simply stick to the key of the song without playing any awkward sounding notes. It’s typically played over major chords and dominant or minor seventh chords. How to Build the Minor Pentatonic Scale? 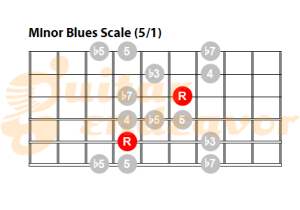 It shares the same notes has the minor pentatonic with an added lowered fifth (also known as the blue note). This specific note gives it a bluesy character. 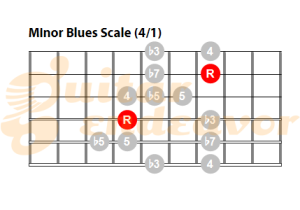 If you want to practice this scale be sure to download that funky backing track in A minor I made! 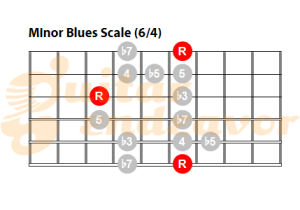 Subscribe to get free PDF with full neck patterns in a PDF of the minor blues scale in all natural keys.